We’ve all been there before. Some people call it ‘writers’ block’, and others call it a lack of inspiration. No matter how hard we try to think up of new and refreshing ideas, the same old boring ones just keep popping up instead. And the harder we try to think of new ideas, the harder it seems for us to get any. If you have noticed, our most innovative ideas come to us when we least expect it. This is because our ability to think up of creative ideas is largely influenced by our subconscious mind – creativity doesn’t come to us naturally when we’re actively trying to be creative. And this can be a problem because we won’t be able to be at our most creatively-productive state when we wish to. Have you ever wanted to be the centre of attention in social gatherings as the ‘humorous guy’? Do you often wish to be able to become instantly inspired and think up of new and refreshing ideas for your music, writing, dance or drawings? 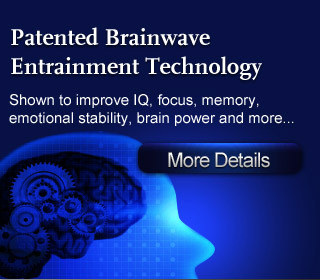 Do you wish to easily think up of innovative ideas for your business or projects? Are you tired of having your ideas and suggestions rejected because they’re ‘not refreshing’ enough? 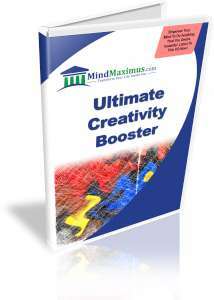 No reviews on B09 Ultimate Creativity Booster so far.